I have been using the Swingyde for several weeks and have witnessed it's success with many students, including myself. The Swingyde is a tool which attaches to your golf club and helps eliminate many swing issues. 1. Too much bend of the lead arm at the top of the swing (left arm for right handed golfers). 2. Too much wrist hinge at the top of the swing or the hands coming apart. 3. Too much cupping of the lead wrist at the top of the swing causing an open club face. 4. Rolling the wrists open and laying the club off on the back swing instead of hinging the club more upward. 4. Casting the club from the top of the swing causing the golfer to either hit behind the ball or hit it thin. 5. Poor impact position with a cupped lead wrist. 6. Poor release of the club after impact. 7. Collapsed finish with no extension. Whew...now that is a lot of work for one simple training aid! The Swingyde attaches to the grip of your club. I recommend using a short iron such as a pitching wedge initially when using the Swingyde. Make practice swings without a ball to get a clear understanding of the tool. I recommend swinging from 9:00 - 3:00 and you will quickly see and feel the proper back swing. If you have hinged your wrists properly, the Swingyde will touch your lead wrist on the back swing and again touch the lead wrist on the follow through. Note the great extension of my left arm on the back swing and my right arm on the follow through! 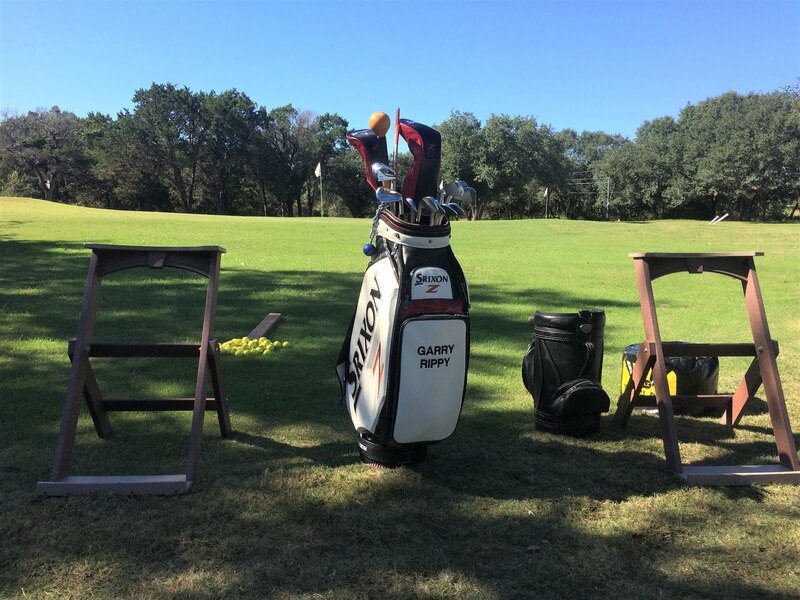 After a few practice swings, you are now ready to hit balls using the 9:00 - 3:00 swing. Tee them up initially and spend about 15 minutes hitting balls with the Swingyde attached. After you gain some confidence with the tool go ahead and start making bigger swings. You can even transfer the Swingyde to your 7 iron. Note how my left wrist is flat at the top of the swing. This is a good sign the club face is square. On the down swing you can see how the Swingyde is still touching my left wrist indicating I have not released the club too early. At the finish, the Swingyde is touching my left wrist as it should. The Swingyde has many other uses and you can check out their website (www.swingyde.com) if you would like to learn more. So far my students have benefited greatly from practicing the method above. 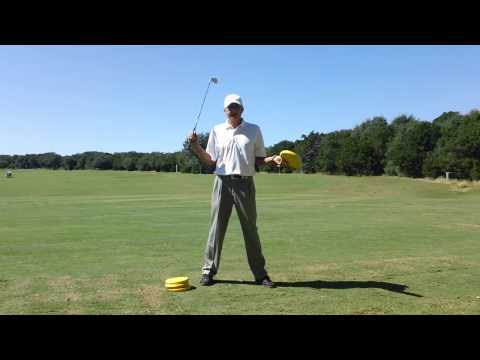 Following is a video showing my swing using the Swingyde.